We all know Krishna as an icon of love and as a strategist. Krishna is that adorable avatar that we, in every Hindu houses see in their sons during their younger age. The mistakes that the grown up Krishna makes in the mythology is well covered with "greater goods" ahead. As we believe it as mythology and learn the way of life from the saga, historians would have experienced heebie-jeebies when the real Dwaraka off-coast Gujarat was discovered. 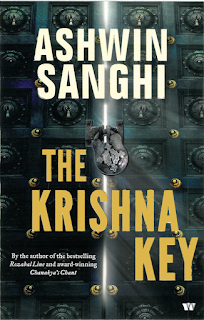 Krishna Key is a try at probing the historical Krishna. Many aspects of Krishna's life and Mahabharata has been seen through scientific magnification supported by historical and geographic findings. This book is truly unstoppable till the last page because of its twist of events which prods the reader to race through the novel. A historian gets spirally caught in a series of murders where he is deliberately being dragged into, by someone he doesn't even know. He gets even more deeply involved when he tries to solve an ancient riddle which could be a key to the long-lost secret of lord Krishna. A high rank female police official tries to catch him and he slips out clean every time. His student is his supporter who plans for his escapes and supports his views. Having said all this, I must mention it maintains a striking narrative similarity with Dan Brown's 'The Lost Symbol'. There, the symbologist Robert Langdon gets caught as a suspect for a high-profile abduction. There's a female FBI agent who's behind his tail to catch him while another lady supports him. The situation compels him go on a wild goose chase for a long lost secret which is then found at a commonplace which is beyond suspicion. 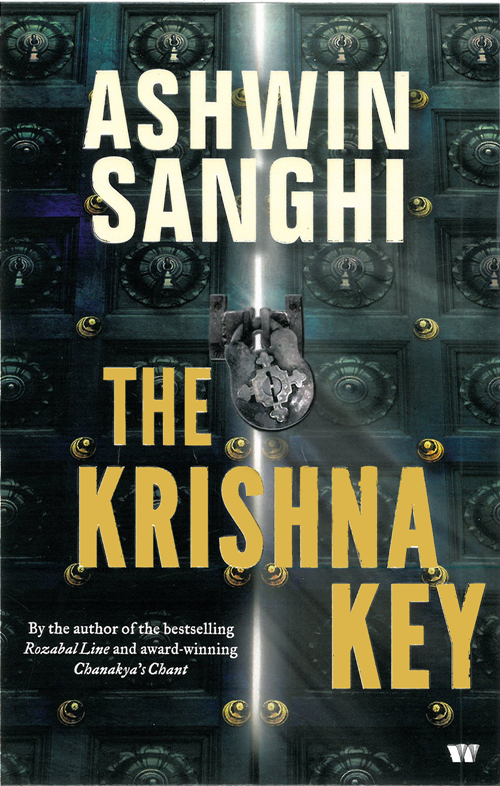 The Krishna Key being published after three years of The Lost Symbol gives us ample space to seed in head that the narrative style is too same to be a coincidence.